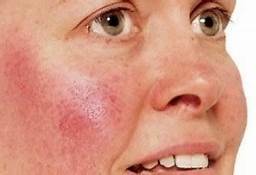 Rosacea is a common skin condition. It often begins with a tendency to blush or flush more easily than others. Over time, redness may become permanent. To help manage rosacea, dermatologists offer these tips: Learn what foods and drinks – if any – cause your rosacea to flare. For many people, common culprits are spicy foods, hot drinks, anything that contains caffeine, and red wine. Keeping a journal of what you eat and drink and when your rosacea flares can help you discover which foods and beverages cause your rosacea to flare. 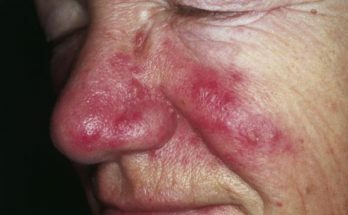 Although drinking alcohol can worsen rosacea, the condition can be just as severe in someone who does not drink alcohol. Extremely hot and cold temperatures often aggravate rosacea. You can reduce flare-ups by not overheating. Protect your face from wind and cold. Covering your face with a scarf helps protect your skin. Just make sure that the material touching your face is not made of wool or fabric that feels rough to the touch. These fabrics can irritate the skin. 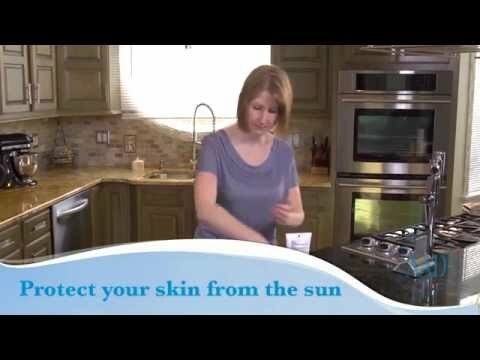 Sun exposure can cause rosacea to flare. Applying a sunscreen before going outside helps to protect the skin, provided the product does not contain ingredients that irritate the skin. Look for sunscreens containing zinc oxide or titanium dioxide as these ingredients are the least irritating. Look for a sunscreen that has broad-spectrum protection, a Sun Protection Factor (SPF) of at least 30. A sunscreen that contains silicone can also help protect the skin and minimize stinging and redness. On the list of ingredients, silicone may be called dimethicone or cyclomethicone. 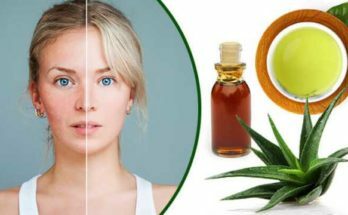 Skin care can help alleviate rosacea or make it worse. For best results, avoid rubbing, scrubbing, or massaging the face. Keep your skin care routine simple. The fewer products you use, the better. When it first develops, rosacea may come and go on its own. Your rosacea may be more easily treated when you first start noticing changes in your skin. If you have questions or concerns about caring for your skin, you should make an appointment to see a dermatologist. To find a dermatologist in your area, visit aad.